This function is only for loyalty members (90/150 days continuosly membership or 3/5 months predaid membership fee). You can export FT/HT corner info and FT/HT goal info to Excel CSV format file. 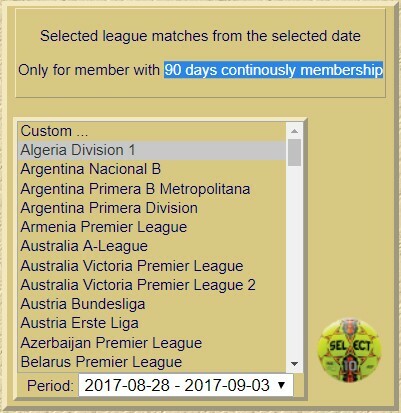 You can choose weekly periods. The newest week is downloadable only 1 week delay. Click the EXCEL EXPORT button to use function.